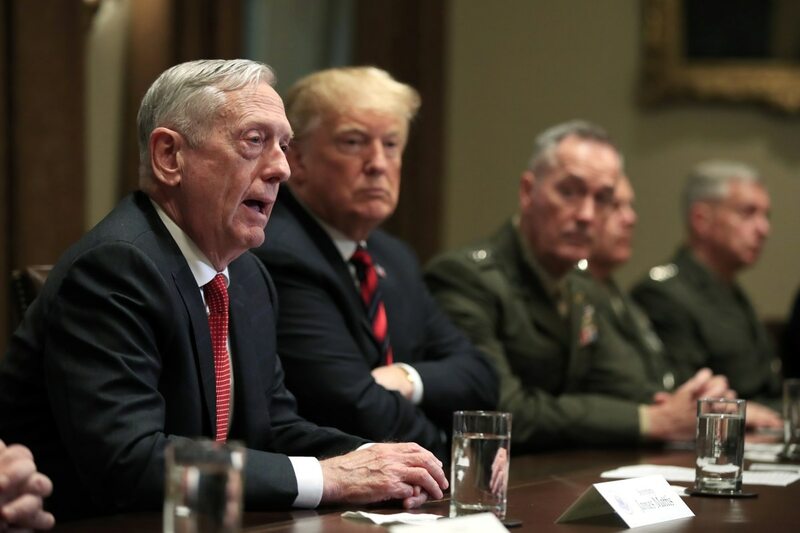 WASHINGTON — In a newly published interview with the New York Times, President Donald Trump claimed he forced former Defense Secretary Jim Mattis to resign because “I wasn’t happy with the job that he was doing at all” and needed to make a change. The comments are the latest revision by the commander in chief concerning Mattis departure from the top Pentagon post. When Mattis announced his departure in December, the White House initially called it a “retirement” and praised the outgoing Cabinet official for “tremendous progress” in strengthening the military. Within a few weeks, however, Trump said called Mattis’ performance in the job “not too good” and said his resignation was welcomed. Deputy Secretary of Defense Patrick Shanahan will take over the department on Jan. 1. Trump did not elaborate on what changed between his effusive praise of Mattis early in his presidency and the months leading up to his departure. But he did note that “I got him more money than the military has ever seen before” and said he was still unhappy with the results. In his resignation letter, Mattis took aim at Trump’s past criticism of foreign allies and his decision to withdraw U.S. troops from Syria in the months ahead. Mattis had planned a departure date of late February, but Trump announced just three days later that Deputy Defense Secretary Patrick Shanahan would assume the acting defense secretary role on Jan. 1. Shanahan's background is business, not military. A Military Times poll conducted in late September found that nearly 84 percent of troops had a favorable view of Mattis’ work leading the armed forces as defense secretary. Among officers, the figure was almost 90 percent.